The data and Wi-Fi networks form the backbone of any smart home. Security systems, automation, computers, tables, printers, televisions, music and video streaming, CCTV, gaming consoles . . . almost all components of smart home technology require wireless communication, internet access and data in order to operate. It is imperative therefore that when planning a ‘smart home’ this element should be well designed and provide the necessary robust functionality to support all the sub systems (current and future). 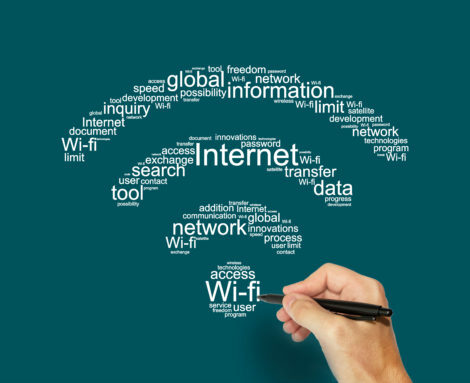 Your network can be as simple as a good quality router with Wi-Fi turned on (often supplied free from your broadband provider). This should be considered a bare minimum but more homes will require a more robust and secure system. A suggested package for a modern residence may be to supplement the supplied modem with a managed gigabit switch and a wireless access point. For a larger house, the typical standard set up would include a quality ADSL2+/VDSL/Fiber broadband modem, a 24 port managed gigabit switch with power over ethernet (PoE) capability and possible three wireless access points (WAPs). An installation such as this would provide a fast secure network, capable of growing with the demands of today’s devices. Other considerations should be made such as power conditioning and UPS backup of networks to ensure long term reliability and safe powering of the system. When Intelligent Environments Ltd are asked to quote on the supply + install of networks and/or other sub-systems for your home, our recommendation is always that power conditioners and UPS equipment be included. Once the ‘back bone’ of your smart home is established, consideration can be given to other elements of smart home technology such as lighting control, music, TV distribution, and more.